I am publishing on the Independence Day of my country, I can´t dismiss the opportunity of write, proudly, about what we are doing here. Mexico is one of the countries with more agreements of trade affairs signed in the world, with 46 countries. Exports in 2014 were $192,629 million USD with United States, Canada, Spain, China and Brazil as the most important destinations. In the other hand, imports summed $192,927 million USD with United States, China, Japan, Germany and Korea as main suppliers (Secretariat of Economy, 2015). 68 intermodal terminals, close to 80 airports, 114 maritime ports, 27 thousand kilometres of railroads, 128 customs, etc. are in service for automotive, textile, oil, agriculture and other important industries for the country. It demands a qualified management of every supply chain. In Mexico we are passionate of making things the easiest, practical and well done possible; I mean, we look for quality at the very first opportunity, using a simple but effective procedure and taking advantage of every resource available (efficiency). So, in our chase of that target we have some preferences in logistics matters. Some of you know what crossdocking is; but for those that are not familiar with the term, crossdocking is used to define the transfer of goods from an inbound carrier to an outbound carrier avoiding the staying of materials in the warehouse (Kulwiec, 2004). With the popularity of Just In Time methods, this tactic grew quickly in end of 90´s mainly for shipments moving through Mexico, US and Canada. Crossdocking obligates importers/exporters to clear customs in each border they are passing by, which implicates time and costs. The complexity of crossdocking is the extra management, because information sharing and collaboration among trading partners (inbound carrier – cross-docker – customs broker – outbound carrier) are critical for success (Kulwiec, 2004), so the chain could be disrupted in a short frame of time. In last years there have been efforts to allow the free transit of Mexican vehicles in United States and Canada and vice versa. This has helped the logistics managers to use trucks that can travel directly to destination, in a door-to-door scheme between this 3 countries, without using a warehouse or crossdock. The cost and time reduction has been significant for companies using this method of transportation. There are still opportunities to work on; in inbound side it seems to be successful but outbound is still a bottleneck because US is not willing to open completely their highways to Mexican trucks. In coincidence with me, some experts believe that this action reduces competitiveness not only to Mexico but also to NAFTA region (Patiño, 2014). Anyway, I am pretty sure that multilateral debates will be successful and a free transit area will be a reality in the next years. As it´s happening in the entire world, 3PL and forwarders are more common every year in Mexico. When a Mexican Logistics Manager looks for a logistics partner, having a local office in Mexico has become a “must”, it has been difficult to sensitise foreign companies of the particularities of Mexican logistics, like shipping documentation, timing, customs complexity, capacity shortages and even carriers behaviour. Harrington points: “improved service offerings and creative transport solutions help streamline the border-crossing process and optimise capacity” (Harrington, 2013). Service and creativity are the keywords here, to explode them it´s recommendable, not mandatory, to have a local office, a partnership or another way to be sensible to the characteristics of Mexican logistics in order to offer effective solutions to specific problems lived in Mexico. Certainly there is an issue about capacity, not just in Mexico, but also more countries are involved on this issue. Most affected transport is hazmat, container flatbeds and dray carriers. What we are doing to deal with this issue is to increase the number of options, I mean carriers that could work as backup in case our main carrier is unable to provide the service. I think, and this is just an approximation to reality, a logistics manager in Mexico receives at least one daily call from a logistics or transportation company offering their services; of course all companies want to sell more, so capacity is struggling, our work as managers is to make efficient our operations to avoid long stays of trucks without movement, a bad inventory decision could generate weeks of truck´s detentions in yards. Since a logistical approach, based on the minimisation of inventories and punctuality in deliveries, security is a differentiating element of competition and an indispensable requirement to become a trustable market (Pérez Salas, 2013). Big companies like Audi, Mazda, Nissan, Honda and others recognize the efforts of Mexico to offer a more secure supply chain, and they are investing, or increasing their investments, in our territory. 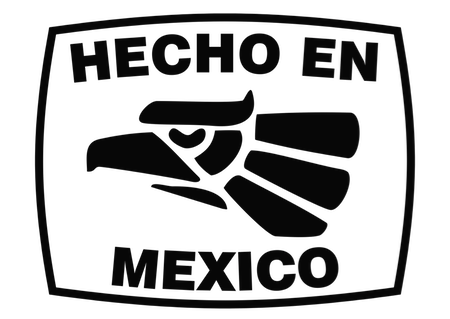 It means trust in Mexico. Recently, new laws were released to obligate carriers to transit by highways that are monitored, in the past trucks could transit for insecure freeways. In the past, carriers used to drive through these via to avoid tolls and be more competitive, now they have to focus on their process and service to increase competitiveness. What I would recommend is to get advise from experts, theft is focused in specific areas of the country not in all the territory. In all cases I will not be in fear of making logistics in Mexico, just take precautions, as you would do in your country or other in the world. 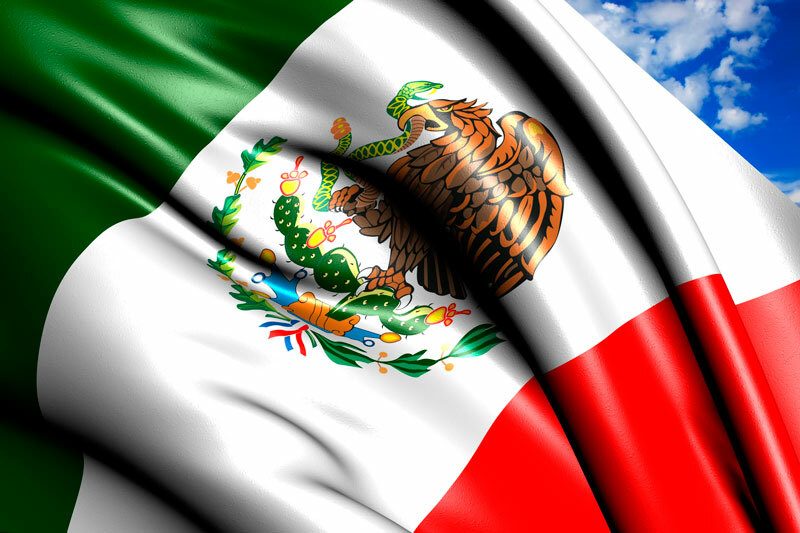 Well, I am pleased of sharing a part of logistics a la Mexicana, thanks for reading again and VIVA MÉXICO! Yo opino que la logística es el proceso de proyectar, implementar y controlar un flujo de materia prima en proceso de información relacionada desde el punto de consumo hasta el punto de origen de una forma eficiente. Muy bien Stephanie, me agrada que comiences a formar un concepto y definición de la logística, sugiero que revises también la definición de administración de la cadena de suministro y algunas otras definiciones de la logística para que tu concepto se afine. Si quedan dudas no lo pienses y contáctame por Twitter, LinkedIn o por este medio. Un saludo! la manera de eficientar la distribución de un producto desde su creación hasta el consumidor final y pasando por todos los medios correspondientes cumpliendo con la seguridad y documentos con los que se debe contar es lo que se busca con la logística sea en el propio estado o internacional, el problema aquí, aprobando totalmente el comentario anterior de las barreras que US pone en transporte a México, se considera que debe haber una mayor apertura, no bajar los estándares de calidad, pero si que exista una libertad mas grande del paso de transporte mexicano, de esta manera existiría una reducción de costos y optimización de recursos incrementable dado que las empresas no estarían atadas a paga warehouse, esto no quiere decir que este método sea malo, mas sin embargo se utilizaría mas el modelo door 2 door de México y su apertura comercial con clientes internacionales integrantes del TLCAN. La “Logística Competitiva” Es más que nada el logro de gran nivel de servicio al cliente y bajos costos. Esto se puede alcanzar desarrollando un modelo de referencia que da una idea clara de cómo se debe proceder y qué se debe considerar para lograr estos resultados.